901 is a public bus with which you can travel from Bratislava (from under Most SNP) to Wolfsthal or Hainburg an der Donau or the other way round. 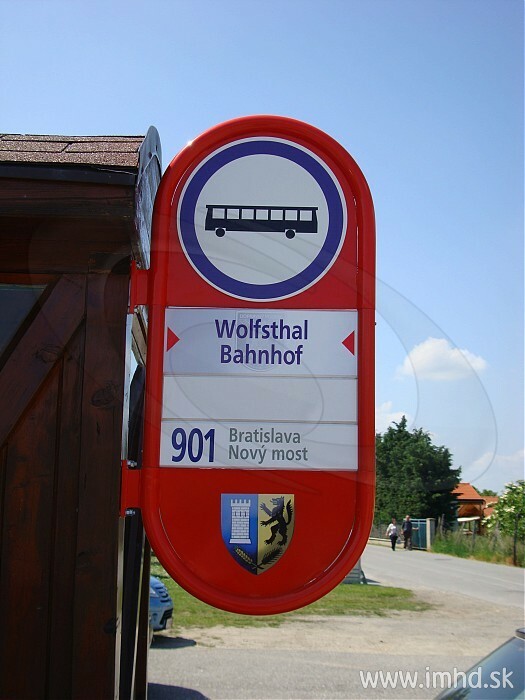 It started to work on 24th May 2008 on the route to Wolfsthal and since 21th March 2009, the end stop was put to Hainburg an der Donau. This so-called regional bus will take you on this route with some exceptions once per hour. 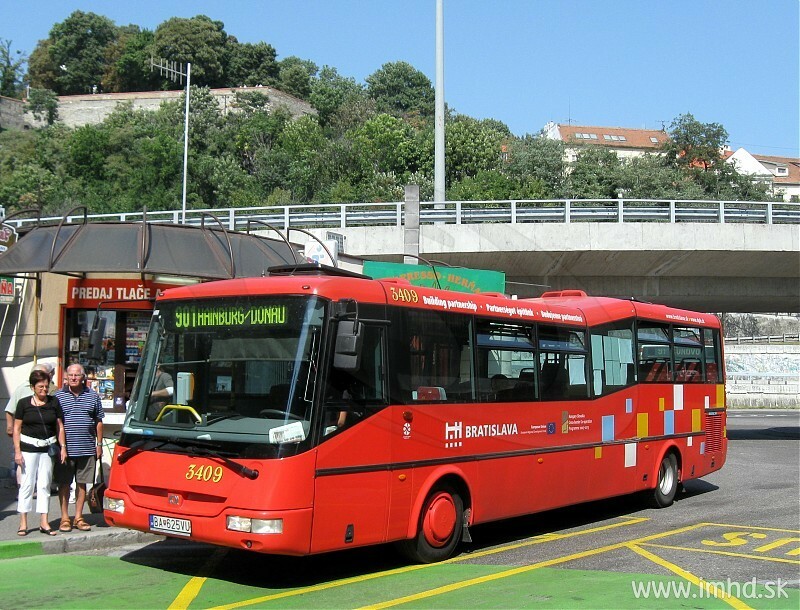 It is run by Bratislava’s public transport state company, Dopravný podnik. 901 connects the inner city of Bratislava with one stop (Most SNP) and the nearby shopping centre of Aupark (Einsteinova stop) with Wolfsthal, more stations in Hainburg an der Donau, finally stopping at its area with supermarkets, reaching its end within less than half an hour. 901 was the first public transport line to go across the state borders. The second one followed on 1st October 2010 – with the line 801 starting directly from the New Building of Slovak National Theatre, you can travel to Rajka in Hungary. Buses of this line have been subsidized by European Union.